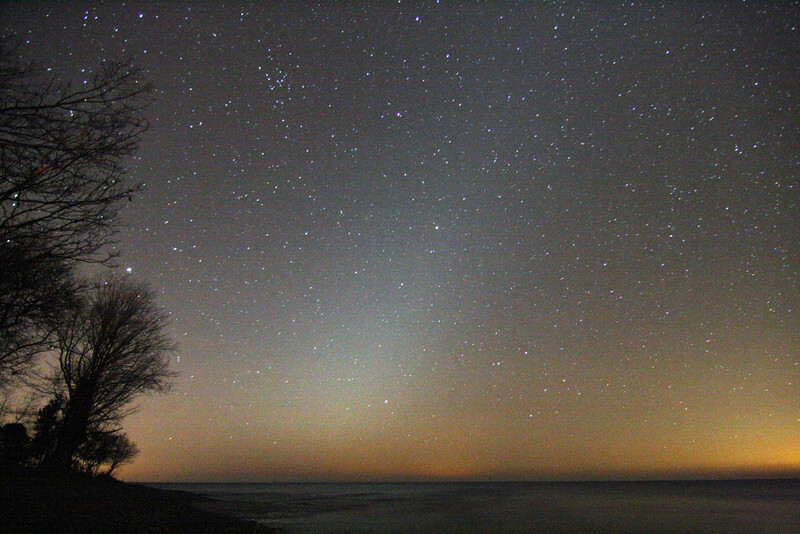 Zodiacal Light...false dawn. On my shore front at WhistleStop Obs, Grafton,Ontario. North shore of Lake Ontario...skyglow to the right is Rochester NY.